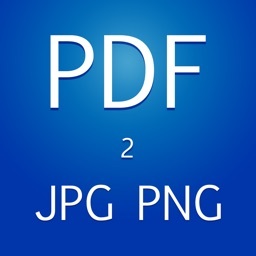 PDF to JPG is a simple PDF Reader, PDF to JPG Converter, PDF to PNG Converter. 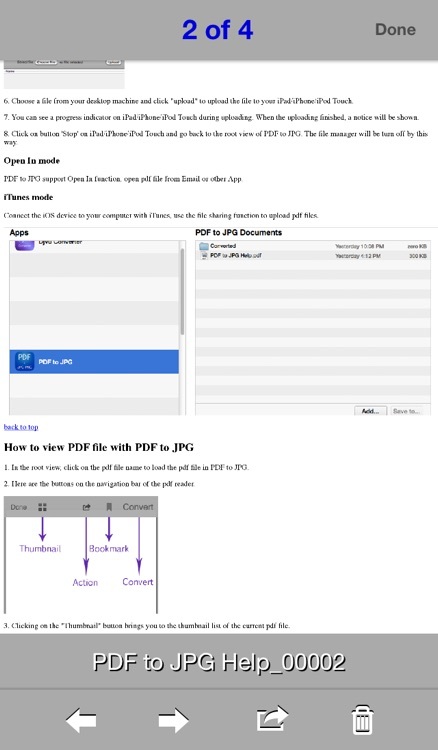 * Import PDF from Mail, Safari, PDF Reader, Dropbox and other apps ("Open In..." function). * Build in PDF Reader. * Build in Image Viewer. 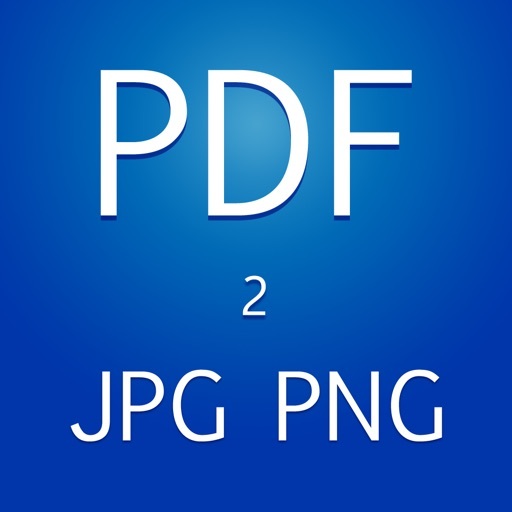 * Build in PDF to JPG converter, PDF to PNG converter. 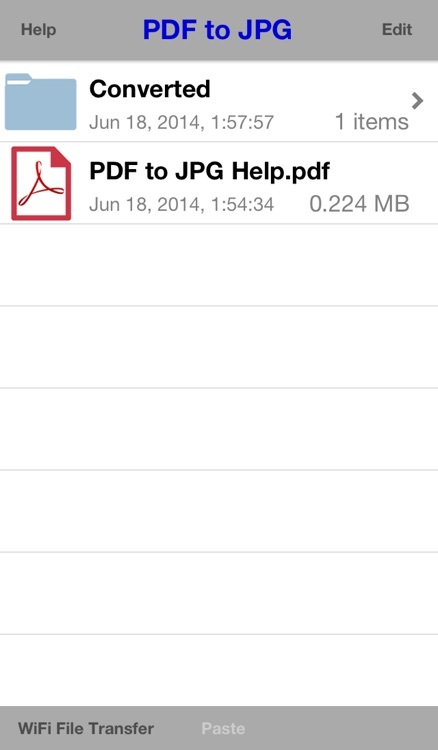 * Support encrypted pdf files. 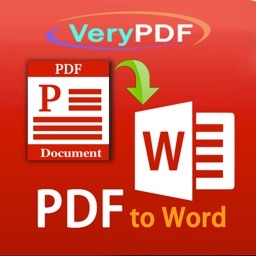 * Mail out documents (pdf and image file) as email attachments or send files to other apps ("Open In..." function). * File manager, rename, delete and duplicate. * Copy PDF and images to clipboard. 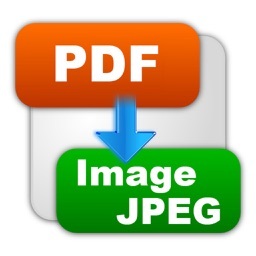 * Print PDF and images to AirPrint printers. * Paste file from clipboard. * Save converted image to Photo Album. * USB file transfer with iTunes file sharing. * WiFi file transfer with Web Browser. 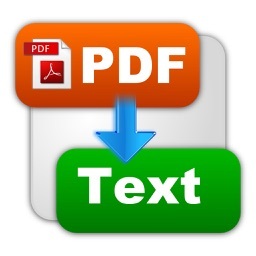 Contains a help pdf file, you can read this help file to learn it more or test it Now.